The Actor, Jared Leto (who will be playing the Joker in the new "Suicide Squad" live-action movie) just leaked a teaser photo on Twitter that kind of shows what his green "Joker hair" will look like. 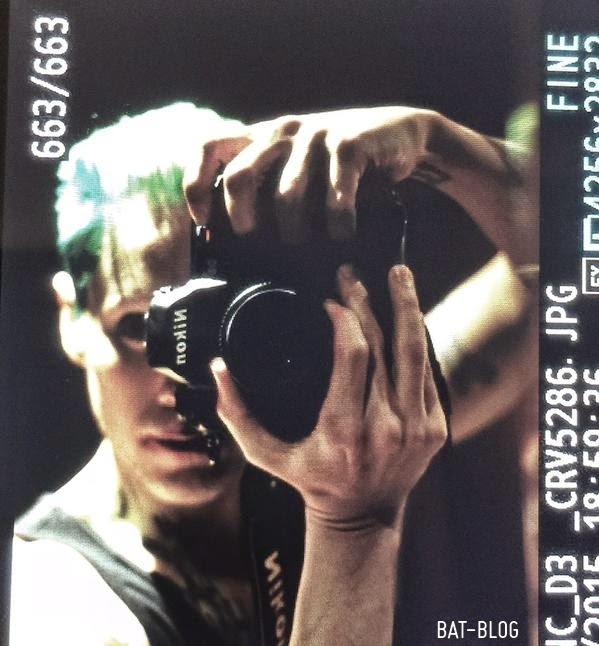 As a side note, it's kinda funny that the picture of him using a camera sort of reminds me of the famous "Killing Joke" Graphic Novel Book Cover, ha ha! Let's hope this movie is a huge surprise and turns out to be totally great, that would be awesome!